The new KTMB Alor Setar Railway Station (Stesen Keretapi Alor Setar) is located just a couple of minutes walk away from the old train station, to the south of the city centre. 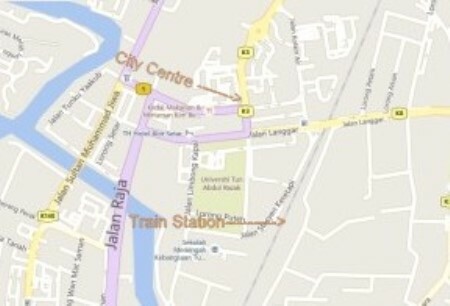 It is an easy 10 -15 minutes walk to the centre of the city from the train station in Alor Setar, just turn right as you come out of the stations main entrance, then take a left when you come to the flyover bridge. There are plenty of places to stay if you want to stop here for a night or two. 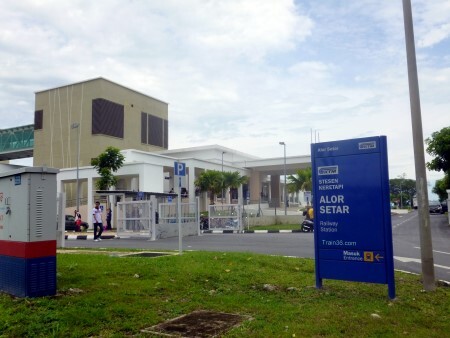 Alor Setar Train Station is on Malaysia's North - South Line, that connects with Thailand's Southern Line at the border station of Padang Besar, then travels all the way down Peninsular Malaysia, via Butterworth Penang, Ipoh and Kuala Lumpur, to Singapore. For many tourists, a trip to Alor Setar is usually just a stepping stone for those travelling on to Langkawi Island via the nearby Kuala Kedah Jetty, which is located around 13 kms from the train station. 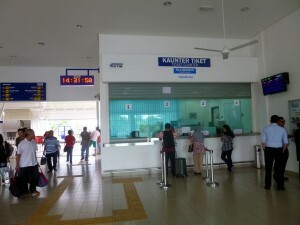 The easiest way to get to the Kuala Kedah ferry terminal from Alor Setar is by taxi. The taxi fare from Alor Setar to Kuala Kedah Jetty should be around 20 MYR. For those on a tight budget, there is a much cheaper way to get to Kuala Kedah Jetty, by local bus. These buses leave from the centre of the city, so you will have to walk for about 10 - 15 minutes to get to the bus stop from the station. Travelling from Alor Setar to Langawi Island? You can buy your train tickets directly from the ticket counters on the ground floor of the station up to 60 days in advance. There is also a new KTM Komuter Train Service that operates between Butterworth Penang and Padang Besar in Perlis that stops in Alor Setar and all stations in between. 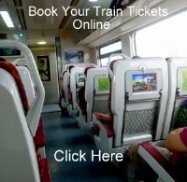 This is a good option for cheap train travel for shorter distances. The International Express train 36 from Butterworth to Bangkok, via Hat Yai, Surat Thani, Chumphon and Hua Hin (now operating from Padang Besar). 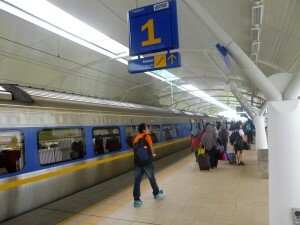 The Senandung Langkawi Express Train from KL Sentral to Hat Yai (now cancelled). International Express Train 35 from Bangkok to Butterworth Penang (now cancelled between Padang Besar and Butterworth). Langkawi Express from Hat Yai to KL Sentral (now cancelled).